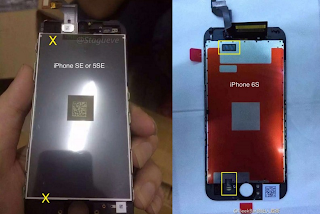 iPhone SE Manual - Error 53 iPhone Fixed. 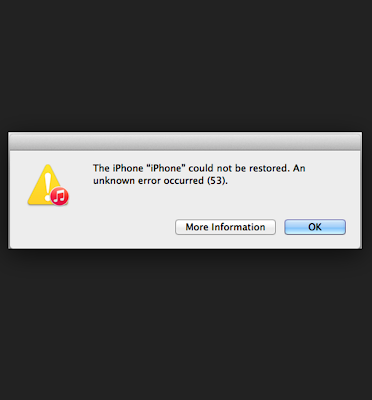 The Error 53 message that was disabling iPhones. The error was caused by unofficial repair shops replacing the connector that ran between the Touch ID sensor in an iPhone’s home button usually in the process of replacing faulty home button assemblies. Get help when you see error 53 and your device gets stuck on the "Connect to iTunes" screen. After you try to update or restore your iOS device in iTunes on your Mac or PC, you might see error 53 in iTunes and "Connect to iTunes" on your device. Error 53 appears when a device fails a security test. This test was designed to check whether Touch ID works properly before the device leaves the factory, and wasn’t intended to affect customers. For anyone who experienced error 53, Apple has released an update in iOS 9.3 to allow you to successfully restore your device using iTunes on your Mac or PC. Use the steps in this article to restore and recover your device. If you believe that you paid for an out-of-warranty device replacement based on an error 53 issue, contact Apple Support to ask about reimbursement. If iTunes is open on your Mac or PC, quit iTunes. If your iOS device is plugged into your computer, unplug it. Make sure that you have the latest version of iTunes. Connect your iOS device to your computer with a USB cable. When you see the option in iTunes to Restore or Update, click Update. iTunes will try to reinstall iOS and restore your device without erasing your data. If you can't get past the Apple logo screen, force restart your iOS device. When you see the option to Restore or Update, click Restore. When you see your iOS device's Hello screen, follow the onscreen steps to set up your device. If you previously backed up your device, you can set up from your backup. When you see the screen for Touch ID, tap Set up Touch ID later. If Touch ID on your device didn't work before you saw error 53, the feature still won't work after you update or restore your device. Contact Apple Support to ask about service options for Touch ID. 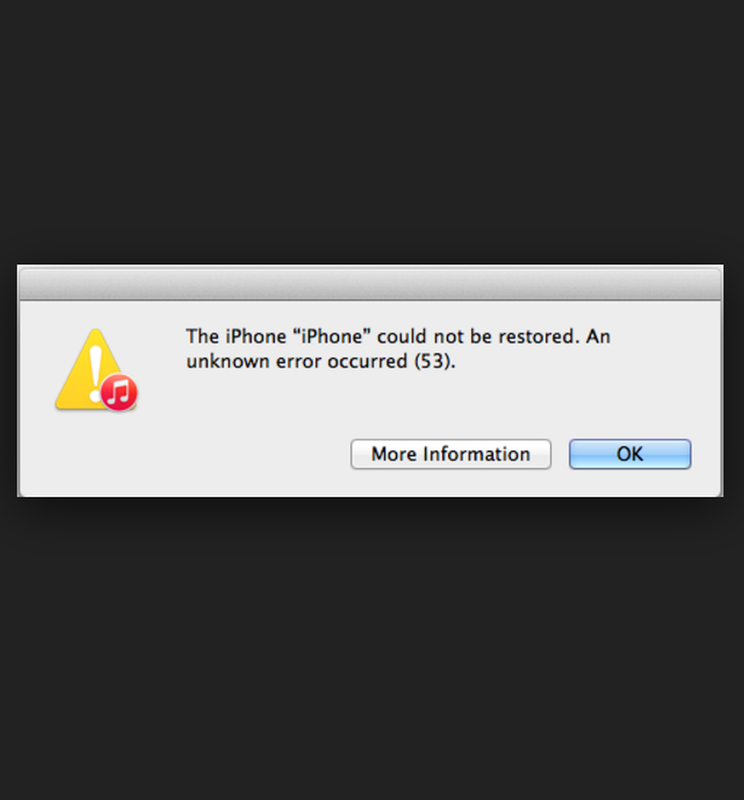 If the restore won't finish and you see an error code other than error code 53, learn what to do. Read More iPhone SE User Guide, To force restart/reset iPhone SE or your device, press and hold both the Sleep/Wake and Home buttons for at least ten seconds, until you see the Apple logo again.